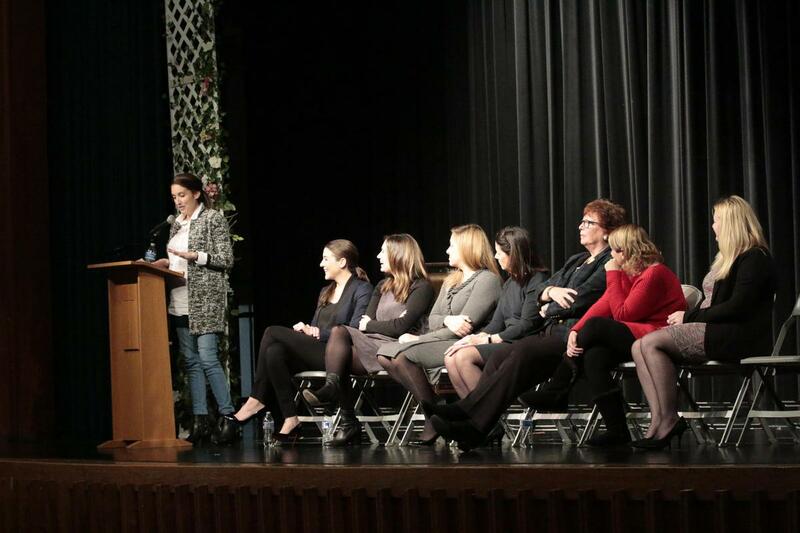 Eight impressive alumnae visited IHA to sit on our Women in Business Panel on November 28, 2018. 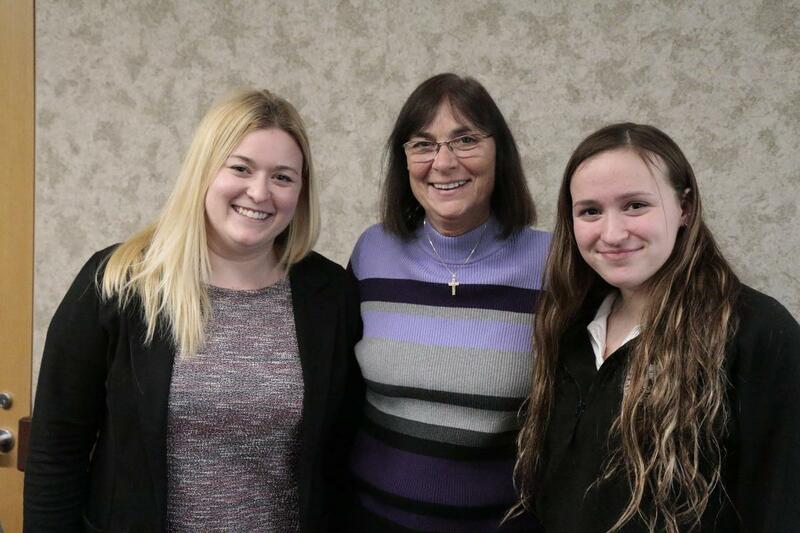 Thank you to our alumnae for taking the time to talk to the Immaculate Heart Academy student body. 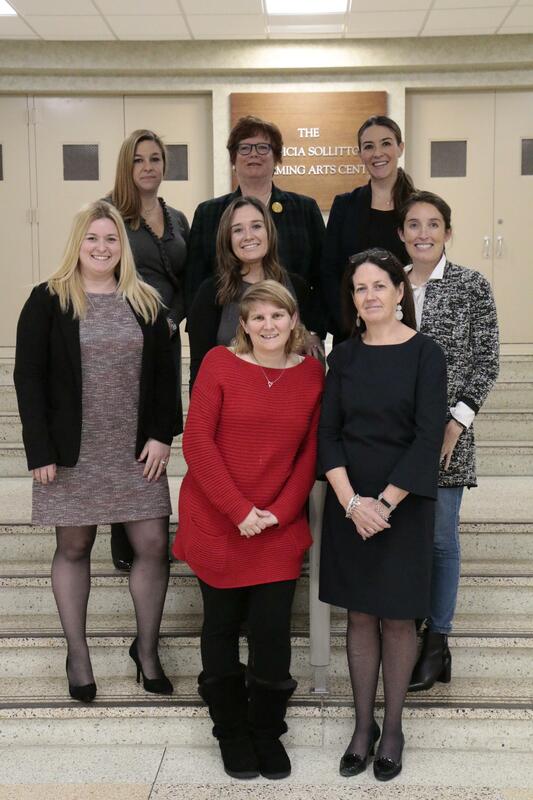 Students heard from, front row, left to right, Stephanie Dolce’94, owner of Sassy Productions, which manages/cleans up businesses’ social media, and Kelly Walsh Downey’81, VP of Transformation at Unilever North America. Middle row, left to right, are Christine Williams Matthews’07, finance manager at FOX News and FOX Business Network; Thea Rodgers’05, advertising/marketing at Pinterest and formerly at Spotify; and Marissa Finnegan McCloskey’05, founder of Love Corn, a delicious crunchy corn snack. Back row, left to right, are Jennifer Shepard Moroz’93, CPA and partner in an accounting firm; Patricia Mulcahy’73, P&L and revenue/contribution margin growth for global solutions at Conduent; and Amy Giacobone Healey’00, institutional sales for BlackRock. Click here for the 2018 Alumnae Women in Business Panel photo album.